Made with our cotton rich yarn and a new improved regular fit, this girls cardigan is soft and warm with stretch for added comfort. Our newer-for-longer technology also reduces bobbles and colour-loss keeping your cardigan looking fresh over time. 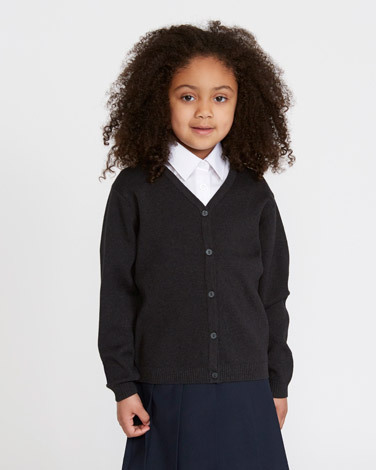 The perfect layer over any school uniform, this practical piece is also easily machine washable to ensure your kids stay looking smart even after active days.